Heather Durham Photography was recently asked by Borrowed and Blue, a locally-focused online wedding resource, to give couples everything they need to know about my photography services. How did you first get into photography? My work experience in the fashion industry and as an art director for a magazine publisher, inspired me to pursue photography. During those years of working with other photographer’s images for catalogs and editorial layouts, I became fascinated at lighting and the power of an image to tell a story, affect our emotions, and influence our behavior. I believe every work experience since college led me to this. I started my business almost 14 years ago and I can’t imagine doing anything else! As a storyteller, what draws you to a particular subject? Whatever it is that makes them unique…whether it’s their dramatic eyes, freckles across their cheeks and nose, gorgeous red hair, or maybe it’s their personality that comes out through their laugh. I just know it when I see it and it becomes my mission to speak that life into their images. What is your favorite moment to photograph at a wedding? The First Look and moments right after. I absolutely love seeing the look on the groom’s face when he sees his bride in her wedding gown for the first time. There is so much authentic emotion in that moment. I use a long lens because I want them to completely forget I’m even there and get lost in the moment. This is their moment and their words to each other. I want to respect that. What makes or breaks a bridal shoot? First and foremost, lighting. Beautiful light is the difference between a good image and an incredible image. I especially love back lit portraits. Rim light gives brides a lovely, ethereal glow. Second, a professional hair and makeup artist. They are worth their weight in gold. The best make up and hair artists (MUAH) know how to help brides look their very best, especially on camera. You’ve dreamed of this day all your life, invested in a gown, and so much more. Your hair and makeup should be perfect and last the entire day…from the very first getting ready shot, to the ceremony, thru dancing and finally the sendoff shot. In my opinion, MUAHs should be a non negotiable item in your budget. Yes, I feel that strongly about it. What are some of the most photogenic spots for Birmingham engagement shoots? There are so many great spots downtown that are iconic Birmingham…the new Rotary Trail Magic City arch has been one of my favorite’s lately, Railroad Park right before sunset on the elevated bridge with the city skyline lit up behind it, The Alabama Theatre and Lyric Theatre district, Morris Avenue and the BIRMINGHAM sign at Regions Field, just to name a few. I’ve hit all of those in one shoot and love the variety it gives and the story it tells…especially if you’ve lived in Birmingham most of your life. I also love the view of the city from The Club atop Red Mountain. For natural settings, Aldridge Gardens, The Botanical Gardens and The Preserve are beautiful. And, I always love interesting bridges and a good, shallow creek like the one along Jemison Trail. The light that reflects off the water is amazing! Where else do you love to photograph? The beach towns along Hwy 30A…Rosemary, Watersound, Carillon, Alys, Seaside, Seagrove and Grayton. I’ve grown up vacationing there since I was a young girl, so I know the area well and have seen it grow and flourish over the years into a beach haven. There’s just no place quite like it! I could work there for months on end and never run out of beautiful places to shoot. It’s my happy place! What’s your favorite wedding that you’ve shot? Oh! That’s so hard! I love so many! One of my favorites in the past year was Lindsey & Grant’s wedding last August. They got ready at The Tutwiler Hotel, with ceremony at St. Paul’s Cathedral downtown and reception at Iron City…such iconic Birmingham buildings on a beautiful summer day. And, the chemistry between them was a beautiful thing to watch through my lens. I’ll never forget their First Look in the gorgeous sanctuary at St. Paul’s, and Grant’s adoration through tears as she walked down the long aisle towards him. What’s your favorite out of all the Birmingham wedding venues to shoot? I’m not sure I can name just one! There are so many amazing venues in Birmingham. The Club atop Red Mountain and Vestavia Country Club have beautiful ballrooms and views. The Tutwiler is such a beautiful historic hotel with a lovely terrace and courtyard for photographs. Iron City are B&A Warehouse are wonderfully roomy venues for big crowds and guests who enjoy a good party and love to dance. I also love Swann Lake Stables for an outdoor refined rustic setting and look forward to shooting a wedding there again in a few weeks. What is the first thing you ask couples when they approach you? I always ask how they met. I love to hear their story, so if possible, I can incorporate that location in their Engagement Shoot. The couple below had their first date at City Cafe in Tuscaloosa while they were in college at The University of Alabama, so I was excited to be able to include that memory in their Engagement images. I also want to know the couple’s expectations for their photographer and details of their wedding plans and wedding style to make sure we are a good fit. What’s the biggest mistake that couples make when choosing their photographer? Not looking at a photographer’s entire wedding day gallery from getting ready to departure. I encourage all couples to look at a full gallery, not just the select shots photographers post on social media and portfolio websites. It’s important that a photographer know how to perform in every lighting situation that’s thrown at them. A photographer may have beautiful natural light photos, but then when they find themselves in a dark, candle lit reception room or outside at a dark sendoff, they don’t have the skills or lighting equipment to make those images look beautiful too. By looking at an entire wedding gallery you can make sure there is a consistency in the photographer’s work. 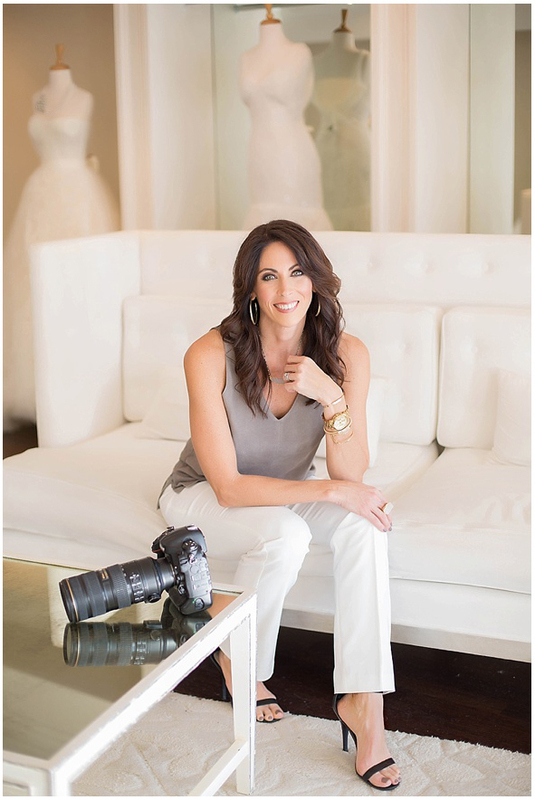 What makes Heather Durham Photography different from other wedding photographers? Wedding photographers are with the bride and groom more than anyone else on their wedding day. And prior to the big day, we exchange, emails phone calls and texts about details. I’ve become friends and still keep up with so many of my brides from over the years. To me, it’s about more than just doing my job as a photographer. I’m a storyteller, a problem solver, a fixer, a stress reliever, a veil attacher, a dress bustler, a face blotter, and a tie straightener. I’ve even let a mother of the bride borrow my earrings for family portraits when she forgot hers! I’m whatever a bride and groom need me to be on the wedding day to help them relax and enjoy the day. I think brides would say that my attention to detail and willingness to serve sets me apart from other photographers. What tips do you have for couples who have never been photographed before? Relax, have fun, don’t always look at the camera, look at each other a lot, talk to each other, and don’t be afraid to move. Flip through magazines and see what shots/poses you are drawn to. Movement and shots where you are unaware of the camera feel more natural and editorial. Even if it’s doesn’t feel natural or come easy for you, it’s my job to make it look like that way. Also, two months ago I moved to Nashville after living and working in Birmingham all of my life. I will still be shooting wherever in the world my camera takes me, and I’ll always shoot in Birmingham, because that’s home and where all of my family is; but my goal for now is establishing and growing my business in Music City. My focus will be on editorial and commercial assignments and weddings. For years, I’ve had this secret little career goal to document behind the scenes of a musician’s life on tour. I guess I’m in the right city now to pursue that dream. We’ll see what happens…I’m thrilled for new adventures with my camera and new locations to shoot in this exciting town! Feeling inspired? Book Heather Durham Photography today. 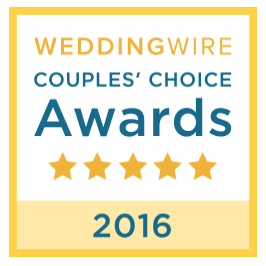 For the rest of your wedding planning needs, be sure to check out Borrowed & Blue.